Practical and easy to move, this floor lift model is suitable for individuals weighing up to 450 lb. 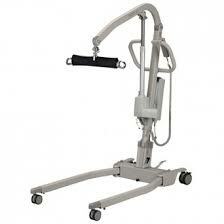 It is also available in two other weight options: 330 lb or 700 lb. 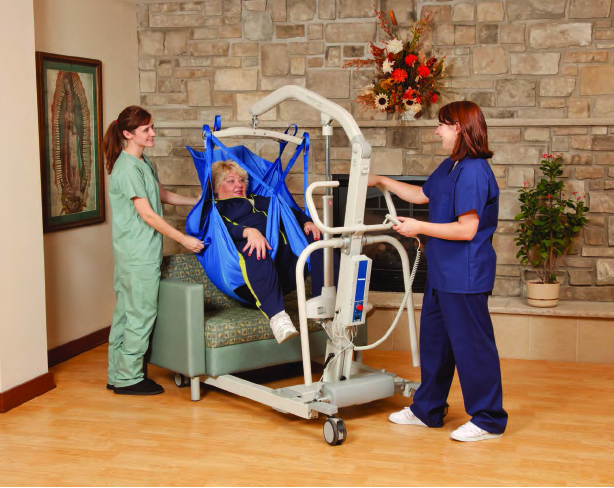 It is perfect for care centres in emergency units because of its mobility, as it can be moved quickly to any location where it may be needed. 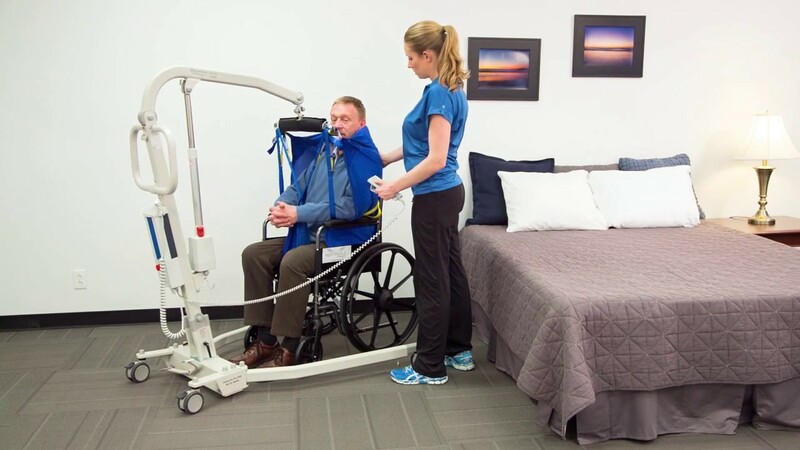 Since a person lift is a critical everyday tool for a person with very reduced mobility, this floor lift is also particularly useful at home as a back-up: for getting out of bed, for moving around or as a replacement in case the main lift breaks. Variable. Contact us for your personnalized quotation. About 2 weeks for models not in stock.